Must be completed in	2 days	This listing has ended. 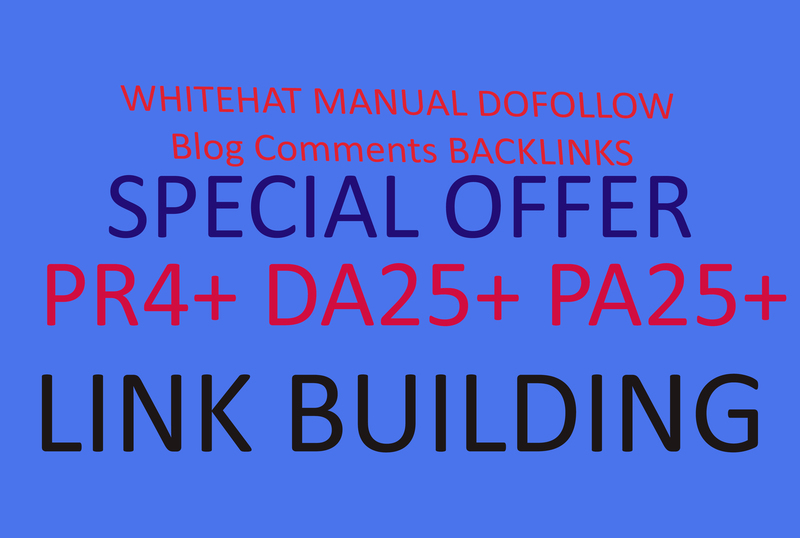 Whitehat do-follow High pr & da backlinks are the most important Google Ranking Factor, So my services are focused on link building. It is the best method to rank your site and bring real organic traffic. I will provide High pr and da, do-follow, Manual, powerful Blog Comments backlinks to BOOST your Website Ranking. Contact me for more details and query. backlinks, link building, blog commenting backlinks.